We are spoilt at Hazel Bank for local walks. We believe our hotel is situated in one of the loveliest areas in the British Isles. 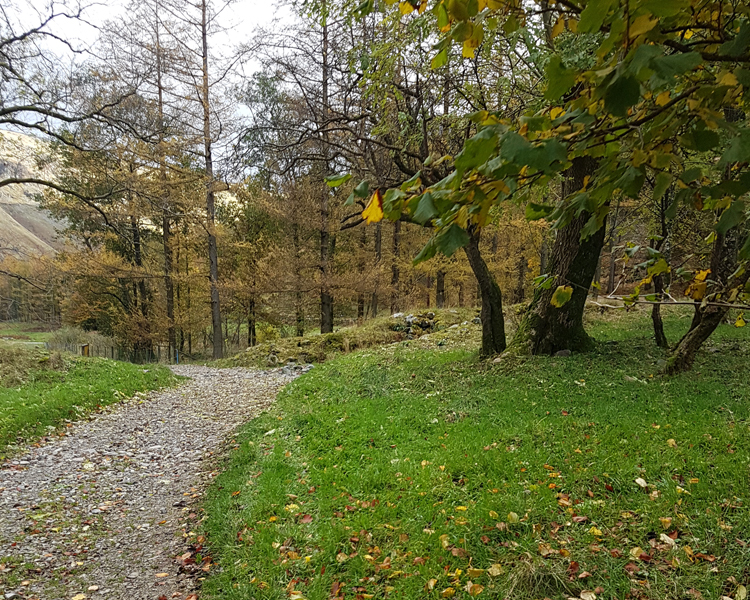 When we’re not hard at work welcoming guests to our Borrowdale hotel we are trying our very best to take advantage of the area and the fantastic Borrowdale walks accessible directly from our garden gate. The changing seasons, conditions and times of day ensure no two walks are ever the same. With some of the favourite Lake District walks such as Castle Crag (featured on Julia Bradbury’s Best Walks With a View) located close by. 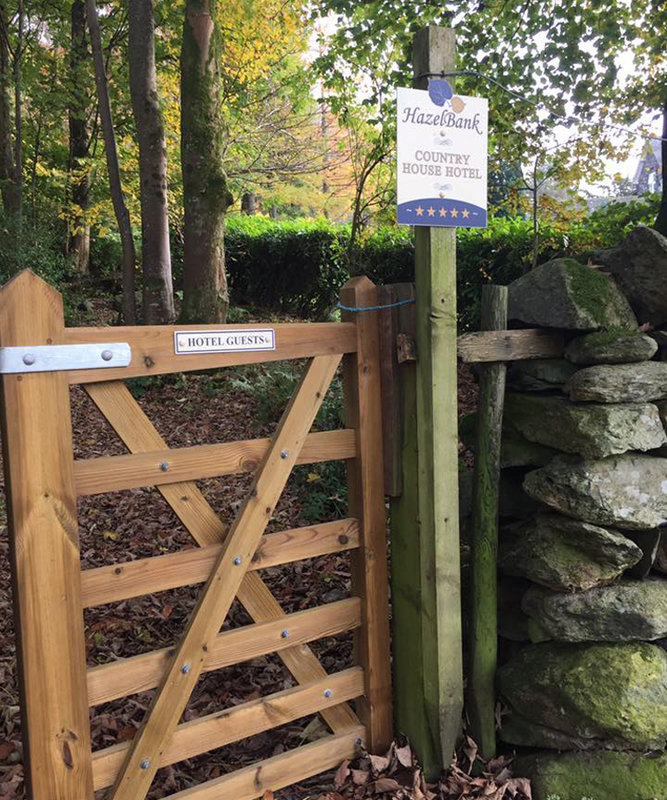 At Hazel Bank Country House Hotel, we walk directly out the garden gate and onto the fells. 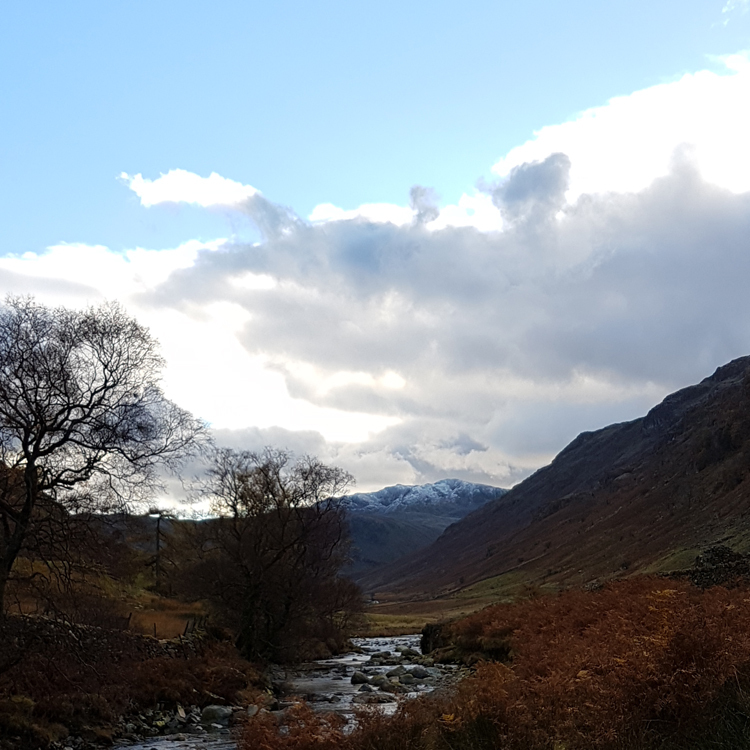 The Borrowdale landscape is varied with hidden coves, cascading waterfalls, dense native oak woodland, towering fells, and Herdwick sheep dotted across the landscape. 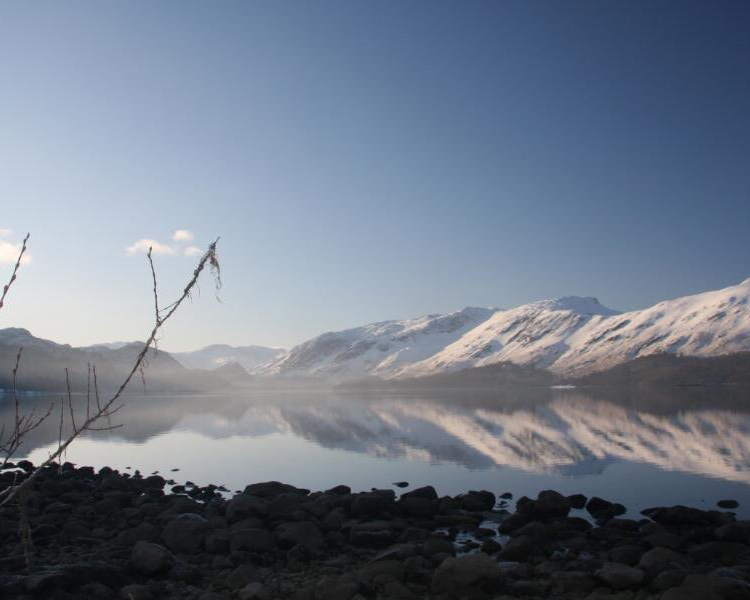 Borrowdale is a much quieter part of the Lake District, ideally situated to escape the Lake District hustle and bustle. 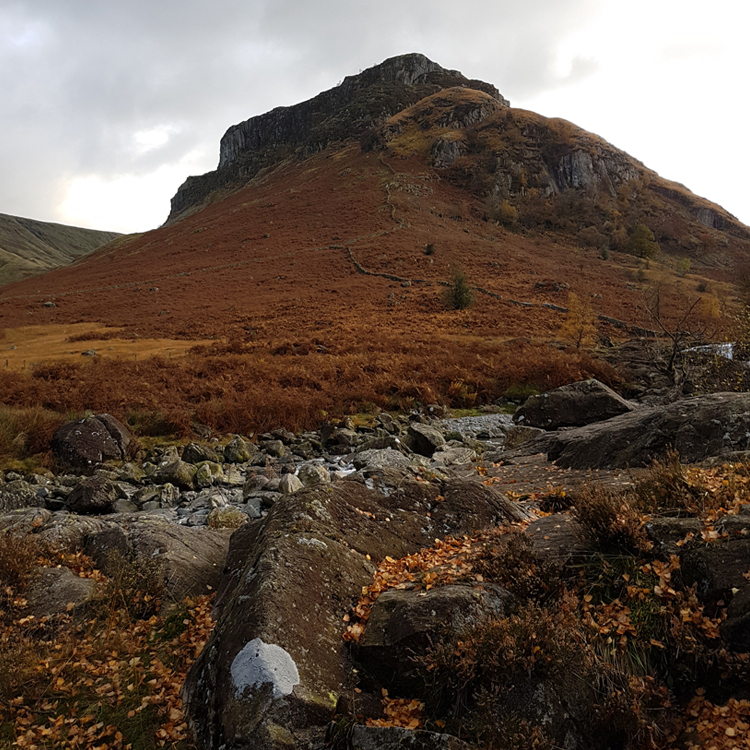 Direct from Hazel Bank you go toward Stonethwaite and through a crag that looks like a staircase from Lord of the Rings. Then continue onwards to a lovely little village that sits above us, known as Watendlath. It’s an ancient little village, owned by the National Trust. It sits next to Watendlath Tarn. The area is an area of scientific interest, lying 847 feet above sea level on a ‘hanging valley’. 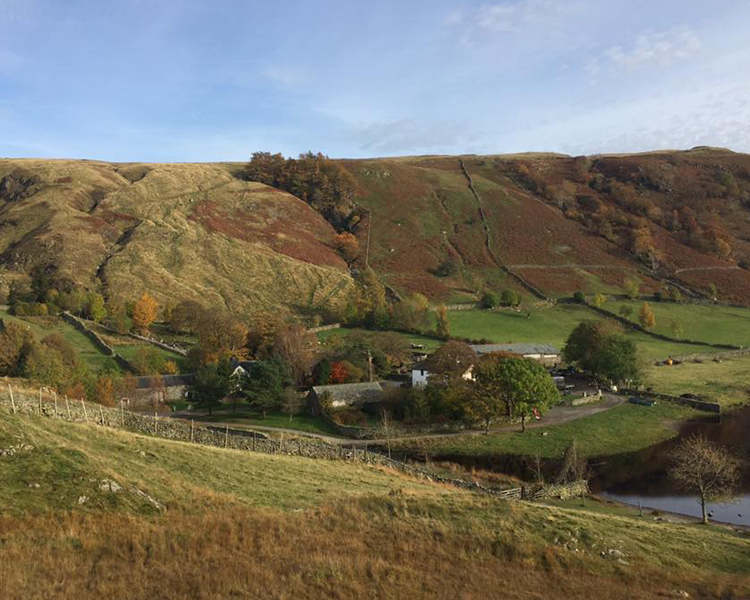 A ‘hanging valley’ is the product of varying levels of erosion, where the floor of the valley erodes at different rates, so it’s a valley above a valley which is somewhat unusual. 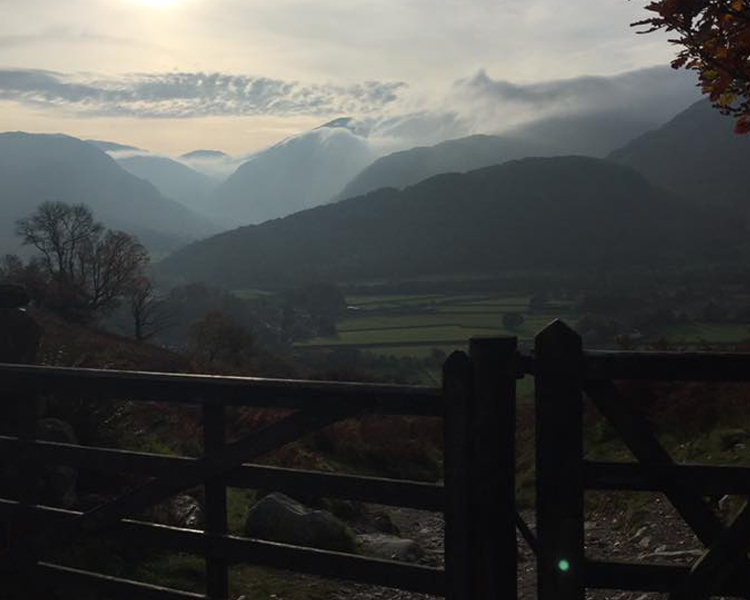 As you walk down from Watendlath you are treated to beautiful views looking down into Borrowdale. The first part of the walk requires the most effort as you hike to the top of Rigg Head Quarry. This takes around thirty minutes and after this exert it’s relative plain sailing. You then continue towards High Spy, walking along the ridge over Maiden Moor and Catbells. The views overlook both the valleys of Borrowdale and Newlands and down toward Keswick and Derwent Water. Donna describes them as nothing short of ‘breathtaking’. The area is made up of the Borrowdale volcanics, which are dramatic in their appearance. David, the chef’s favourite walk in Borrowdale is to Galleny Force Waterfall. The walk goes in a loop and takes just a few hours to complete and isn’t particularly difficult. There are several paths off the main track for the those feeling more adventurous. The walk itself takes you up the Langstrath Beck, with beauty around every turn from cascading waterfalls to fern-clad knolls, ancient Rowan trees and countless fells. 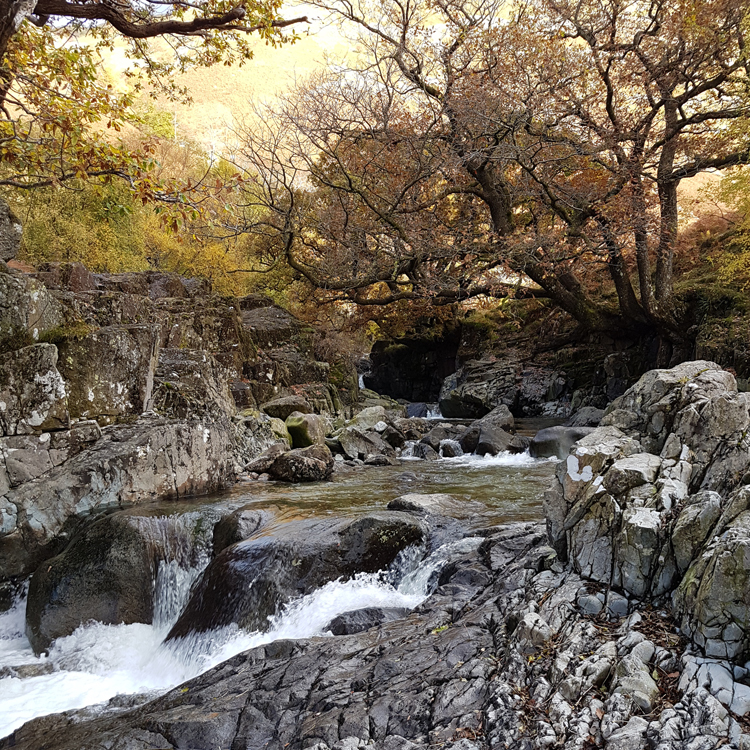 The views are straight out of a story/picture book – it’s little wonder that Galleny Falls is also called Fairy Glen. It feels remote and you will often fail to come across a single person for miles along the route. There’s nowhere more idyllic to spend a summer’s day. A picnic perched on a grassy knoll, swimming and splashing amongst the countless wild swimming pools you encounter along the route. 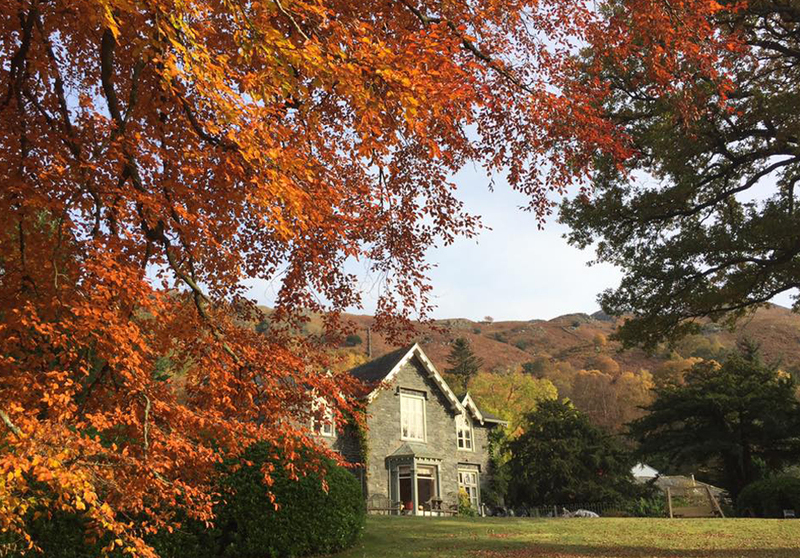 Hazel Bank Country House is a luxurious, five star Borrowdale Hotel situated at the heart of the valley. With award-winning, locally sourced foods, to find out more about us please see here. And to see more of our Borrowdale walks visit here.